Attorney Andrew F. Skala attended the University of Pittsburgh at Johnstown, double majoring in political science and accounting, with a minor in history. During that time, Attorney Skala was an intern in the Cambria County District Attorney's Office. Attorney Skala earned his law degree from Thomas M. Cooley Law School (now the Western Michigan University Thomas M. Cooley Law School). While at Thomas M. Cooley, Attorney Skala received a certificate of achievement in litigation and was active in the Trial Workshop. 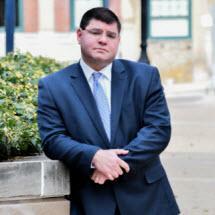 Attorney Skala has been practicing law for fourteen years. In that time, Attorney Skala has handled numerous types of case, including a substantial appellate practice, and continues to do so. Attorney Skala believes in the letter of the law. He also believes that each client deserves equal treatment under the law. Attorney Skala strives to deliver to each client the greatest possible advice and assistance in each particular case, and will do the same in your case.